Your home is meant to be a sanctuary. Whether you live in an apartment, condo or house, it is the place where you can relax and not worry about the outside world or its influences. A home is meant to be a dwelling full of intrigue and tranquility… a setting where you feel most like yourself... Of course, that’s just my view! Part of creating your personal retreat is choosing the right paint colors and accents for your rooms. The thing to keep in mind when pondering over color choices is that you want to find a palate that touches you or moves you in some way. For some, this could be a tan or grey, while others are more adventurous and gravitate toward a burnt orange or light blue. Whatever, your desire, it is also important to think long term. You should ask yourself: will I like this color in a year? Is this too trendy? How do I want my guests to feel when they enter this room? This is actually a great way to weigh a color option. 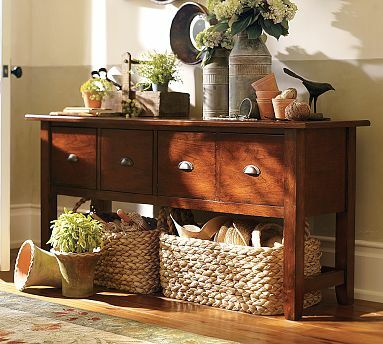 Think of how you want your guests to feel when they are in your home or you’re entertaining. My husband and I usually entertain about once a week. We have a lot of wonderful friends and get-togethers. Because of this, we use our formal dining room – a lot! This room was my first remodel after I married my husband. He had this wonderful open room, but of course, in keeping with the bachelor mindset, had done very little to change the style from what was showcased in the original staging of the home. The walls were a nice neutral yellow, but I wanted something that felt more worldly and modern. I immediately knew that I wanted green walls. I think it’s because I have done a lot of work with humanitarian aid in Africa, but I wanted something that had a somewhat safari feel. I decided on black furniture with yellow accents for a pop of color. I also added lamps as I feel that overhead lighting can often be harsh, and that helped to soften the mood of the room. So keep in mind how you want your family and guests to feel when they enter your fabulous home. Do you want your room to be cozy, worldly or sophisticated? Just make sure to choose a color and scheme that highlights you and your personal style. I love curtains! Nothing can change the feeling or mood of a room like a well patterned drape. However, curtains often get a bad rap. They can have a stigma of being an outdated, overly used 80’s decor. Let me tell you, this is no longer the case! With the right textures and fabric, drapes can actually bring a room together better than many accessories. Today we will be looking at easy ways to find the right style for a room and the process of actually making your own drapes. 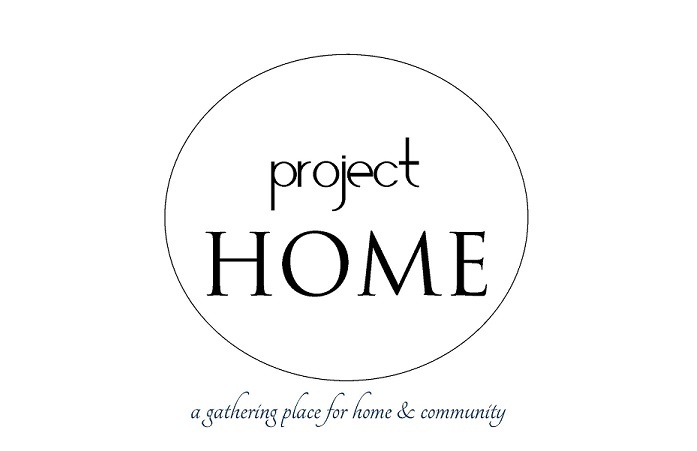 It's one of the easiest home projects you will ever do! I promise. The key to framing a window is to find a textile and texture that matches the desired mood of the room. 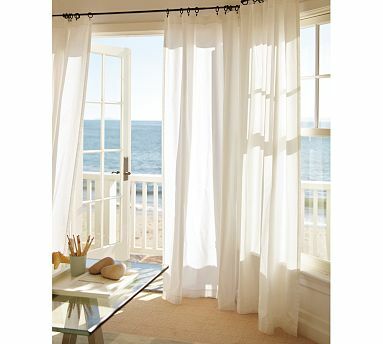 For example, if I was planning a laid back beach living room, I might want to use a striped or solid linen drape. For an overtly sunny dining room, I could to incorporate heavier fabric that blocks out some light and creates a softer glow within the space. The possibilities are endless when choosing curtains and we must not limit ourselves by what we find pre-made in home goods stores. Linen and fabric stores are our best friends when we can't find that perfect textile. This is often the case with me when I am looking for a specific color selection or theme. Before choosing a color palate for both my rooms and curtains, I often go to my local fabric stores and review the interior fabric selections. This is an easy way to mix and match ideas and preview what will look best in a space. This week I decided to change the color accents in my living room. Because I already had a fairly neutral palate, this involved a simple change of curtains and pillow covers. I could not find the exact textile I was looking for in home goods stores, so I decided on a light paisley pattern, with striped accents which I found at from Waverly Fabrics. The goal was to create a sophisticated, yet welcoming environment. The first step in creating your own drapes is to measure the length and width of your windows. In most cases you can use an older curtain to which you can base your pattern. I used a curtain that I already knew was a good fit to my living room windows and based my pattern off of those measurements. In this case, I purchased about six yards of fabric (two and half to three yards per panel, at 54 inches wide). I always like to purchase a bit extra for mistakes and for the additional fabric to use for pillows. An important point to remember is that the hem or bottom seam of your curtain should always be heavier than your top seam. This is so that the curtain will lay flat and not flimsily move around on your curtain rod. Initially, I always stitch each side of my drapes by a quarter to half an inch. From there I make multiple folds along the bottom seam to weigh down the curtain, ironing each fold as I go and stitching each section. I personally only make one additional fold for the top seam, keeping most of the fabric weight at the bottom. Once you stitch each edge you can hang your curtains and transform your room. There is nothing like it! The total process only took me about twenty minutes to a half an hour per panel (depending on how many times my husband stopped by to chat), but in one short hour we can all create a whole new atmosphere in our living space!